Feb 20 (Reuters) Mongolian bonds rallied on Monday after a $5.5 billion loan package agreed on the weekend staved off default and rewarded investors who had hung on despite signs of mounting stress. Investors had been particularly concerned about a $580 million repayment due March 21 on a bond issued by state-run Development Bank of Mongolia (DBM). The country's lawmakers had appealed for donations from local businesses and citizens to help the cash-strapped government pay creditors. That bond, which the government hopes to soon swap for a new one, rallied as much as 2 cents in price on Monday . Issues maturing 2018, 2021 and 2022 rose 1.1 cent, 3.9 cents and 4.2 cents respectively, ,, according to Tradeweb data. "I have been long Mongolia for a long time - this is very good," said Shahzad Hasan, a portfolio manager for emerging markets fixed income at Allianz Global Investors. "This will invite foreign investment in the country, especially in the mining sector, and it will improve confidence of foreign investors in Mongolia, so it is all very positive and very constructive." Mongolia will meet this week with foreign investors to see if it can swap the DBM bond for another state-guaranteed issue. Depending on exchange offer terms, such as swap could be classed as a default, Moody's warned on Monday, just days after putting Mongolia on review for a ratings downgrade because of the possibility of a DBM default. However, the bailout could help Mongolia's credit profile, it added. The loan agreement for the mineral-rich country includes $440 million from the International Monetary Fund, $3 billion from the World Bank and others, as well as a 15 billion-yuan swap line extension from China. Mongolia was seen by many as a classic case of the "resource curse". It enjoyed double-digit annual growth over 2011-2013, but its boom went into reverse amid government over-spending and falling commodity prices. However, investors largely kept faith with its bonds, betting either the IMF or China, the biggest buyer of Mongolian coal and metals, would come to the rescue. The country's mineral wealth was also a lure for longer-term investors, especially as the Rio Tinto-led Oyu Tolgoi project is expected to produce 560,000 tonnes of copper annually from 2025. "The IMF program, along with the broader bailout package ... should go a long way towards restoring investor confidence in the sovereign," analysts at Nomura told clients. The IMF expects Mongolia's economic growth to accelerate to around 8 percent by 2019, Nomura noted, compared with last year's 1 percent, which was a seven-year low. Hard currency reserves should almost quadruple from current levels to $3.8 billion, back to the boom days of 2012. "Eight percent growth is quite strong - but it can happen if the mining comes online and copper prices have rebounded," Hasan said. Economic stabilisation after the bailout should also pave the way for further investments into Mongolia's mining sector. "It brings clarity, which investors have been waiting for. It is the bottom-out everyone has been waiting for," said Dale Choi, an analyst with the Mongolia Metals and Mining, a research firm in Ulaanbaatar. Feb 20 (Reuters) Less than a week after putting Mongolia on a downgrade warning, rating agency Moody's said the prospect of an International Monetary Fund bailout proposed over the weekend could help the country's credit profile recover. Moody's said in a statement on Monday that Mongolia's plan to exchange the debt of the country's development bank could constitute a default in technical terms, but that the prospect of IMF support should help the longer-term outlook. The country is holding investor meetings this week to swap the bonds maturing next month for a new issue. "Depending on its terms, we may assess the bond exchange to be 'distressed' and to constitute a default by both (The Mongolian Development Bank) DBM and, as its guarantor, the government," Moody's said. "If that is the case, the loss we expect investors to incur in the exchange relative to the original promise will inform whether Mongolia's rating should remain Caa1 or be moved lower." However, effective implementation of fiscal consolidation and institutional reforms under an IMF programme would help stabilise and then ease the government's debt strains and shore up its dwindling foreign exchange reserves. "Tangible evidence that this was the most likely prospects for Mongolia's credit metrics would support the sovereign's credit quality and indicate a recovery path for the rating," Moody's said. SINGAPORE (S&P Global Ratings) Feb. 20, 2017--S&P Global Ratings today assigned its 'B-' long-term issue rating to Mongolia's benchmark-size U.S. dollar-denominated notes. The notes will constitute the direct, unconditional, unsubordinated, and unsecured obligations of Mongolia (B-/Stable/B). Our sovereign credit ratings on Mongolia reflect our assessment of the country's low-income economy and the government's sizable fiscal deficits. The deficits are the result of shortfalls in revenues and the budget's inclusion of spending on the country's price stabilization and public private partnership programs and by the Development Bank of Mongolia. We expect the elevated deficits to continue to push Mongolia's borrowings markedly higher over 2017-2020. Additional weaknesses reflect the country's lower growth prospects and developing institutional effectiveness, which together hamper policy responses. The rating outlook on Mongolia is stable. A higher rating is unlikely over our two-year rating horizon. Upward pressure could build on the rating if the development of the Oyu Tolgoi and Tavan Tolgoi mines accelerates economic growth and improves fiscal and external performances more than we currently expect. Downward pressure could emerge on the ratings if Mongolia's external liquidity weakens markedly. This outlook also assumes that official creditor support is imminent to contain balance-of-payment and fiscal pressures. Ovoot is the second largest coking coal project by reserves in Mongolia. February 20 (Proactive Investors) Aspire Mining (ASX:AKM) has signed a memorandum of understanding with a Mongolian and Russian government joint venture to progress the commercialisation of the Erdenet to Ovoot Railway. Aspire owns the Ovoot Coking Coal Project and its development is dependent on the construction of the Erdenet to Ovoot railway, which is being progressed by Aspire's subsidiary Northern Railways LLC. The 547 kilometre railway segment has been included in a new Northern Rail Economic Corridor connecting China and Russia through Mongolia as part of China's One Belt One Road Policy. The Mongolian and Russian government joint venture, Ulaanbaartar Railways JSC (UBTZ) manages all railway operations in Mongolia and owns the Trans Mongolian Railway. David Paull, managing director, commented: "A close working relationship between Northern Railways and UBTZ will be essential for the successful development of the Northern Rail Corridor which will add significant long term demand for UBTZ's rail services". - Cooperation on the rehabilitation of the Erdenet to Salkhit spur line that connects onto the Trans Mongolian Railway. The signing occurred during a conference in Ulaanbaater sponsored by UBTZ focusing on developments that will see substantial freight volume growth through to 2030. Aspire also has a 45% interest in the Nuurstei Coking Coal Project which has a 12.85 million tonne JORC resource. The MOU will help progress a number of key commercial agreements required to support construction funding of the Erdenet to Ovoot Railway. These include the commercial terms upon which the Erdenet to Ovoot Railway users can access the UBTZ line to move freight through to end markets in Mongolia, south to China or north to Russia. The signing of the MOU continues the recent strong momentum gained from the positive first stage feasibility study results, received in January. Aspire shares have increased over 4x in the past 12 months and are currently trading at $0.029. February 20 (MSE) Mongolian Stock Exchange organized 5 securities trading sessions and made transaction of MNT2.6 billion , with daily average of MNT13,301,503,868.00 in period between 06 February 2017 and 10 February 2017. 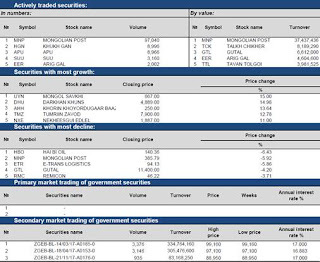 228,266.00 shares of 40 joint stock companies worth of MNT311,008,559.00 were traded. 106,374 Government retail bonds worth of MNT10,068,327,608.00 traded through one trading session. 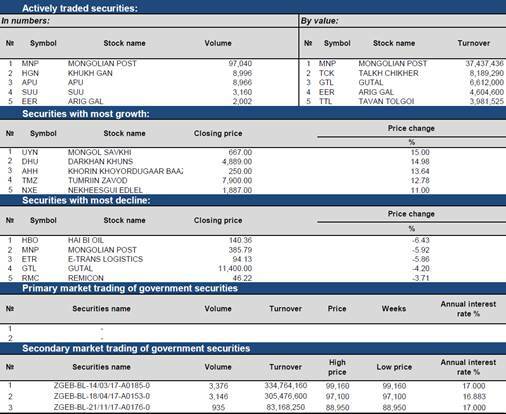 29,633 government retail bonds traded on secondary market of Government securities trading and total of 2,922,167,700.00 transaction has been made. As of 17 February 2017, market capitalization was MNT1,423,607,617,675.20 which indicated decreases of 0.34% and MSE ALL index reached 825.39 units which indicated decreases of 0.37% from the previous week. February 20 (Bank of Mongolia) Compared with the preliminary estimates of Balance of Payments (BOP) which werereleased on the January 23, 2017, the final estimates show that current and capitalaccount deficit has increased by US$ 131.2 million reached US$ 356.7, whereas financial account surplus has increased by US$ 113.5 million reached surplus of US$ 615.0 million. As a result, errors and omission have decreased by US$ 17.7 million. These changes are subject to quarterly survey received from enterprises. Particularly, the decrease is caused by the enterprises' trade credits as well as foreign bank accounts changes. 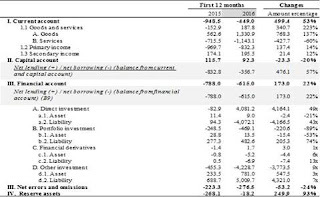 Current and capital account deficit stands at US$ 356.7 million, decrease of US$ 476.2million or 57 percent compared to the same period of the previous year. The change is attributable to improvement in trade and services accounts by 223 percent with or US$340.7 million as well as income account deficit decreased by 14 percent or US$ 137.4. Financial account had a surplus of $615.0 million which is declined by $173.0 million or 22% compared to the same period of the last year. According to the interpretation of 6th edition of Balance of Payments manual, Mongolia has a net borrowing during this period. 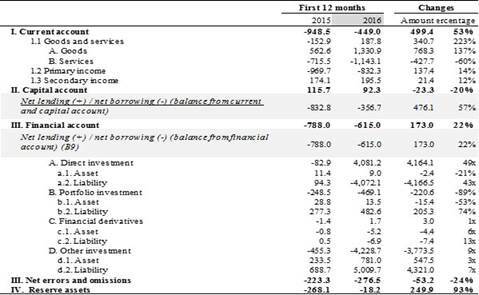 As of the first 12 months of 2016, overall balance of payment deficit was $18.2 million, net error and omissions was -$276.5 million. Fitch Ratings-Hong Kong-19 February 2017: Fitch Ratings has affirmed Mongolia's Long-Term Foreign- and Local-Currency Issuer Default Ratings (IDRs) at 'B-' with a Stable Outlook. The Country Ceiling is affirmed at 'B-'. The Short-Term Foreign- and Local Currency IDRs have been affirmed at 'B' and the senior unsecured rating has been affirmed at 'B-'. Fitch has assigned a 'B-(EXP)' rating to the government's proposed US dollar-denominated senior unsecured notes that will be issued in part to fund an exchange offer for up to USD580m of government-guaranteed bonds issued by The Development Bank of Mongolia (DBM) that are maturing on 21 March 2017. The assignment of the final ratings is contingent on the receipt of final documents materially conforming to information already reviewed. An IMF staff-level agreement and our estimate of Mongolia's existing liquidity resources provide Fitch sufficient confidence that the sovereign can meet its immediate external debt obligations, including the forthcoming DBM maturity. Fitch believes the proposed IMF programme will improve Mongolia's market access and could also allow existing liquidity resources to be deployed without compromising the sovereign's ability to service other maturing debt obligations, as initial disbursements under the IMF facility are likely to be insufficient to meet the upcoming DBM bond maturity. The exchange offer allows DBM note holders until 1 March 2017 to tender their notes. Under Fitch's Sovereign Rating Criteria, the exchange offer does not constitute a Distressed Debt Exchange (DDE). Although there is potentially a material reduction in terms compared with the original contractual terms, primarily because of a maturity extension, the agency does not consider the exchange to be necessary to avoid a traditional payment default on the guaranteed DBM bond. Both factors would need to apply in order for the debt exchange to be classified as a DDE under our criteria. Mongolia's credit profile remains under pressure since our downgrade of the sovereign IDR to 'B-'/Stable in November 2016, but Fitch believes that the sovereign has the capacity and the willingness to service its immediate debt liabilities, including the guaranteed DBM liabilities. This assessment reflects Mongolia's official foreign reserve holdings of USD1.3bn as of end-2016 combined with our estimate of approximately USD400m of remaining headroom under the Bank of Mongolia's bilateral swap facility with the People's Bank of China (PBOC), though the latter figure remains unconfirmed by the authorities. The sovereign's ability to remain current on its external debt obligations is further supported by a recently proposed IMF-supported programme. On 19 February 2017, the IMF announced staff-level agreement on an Extended Fund Facility (EFF). The total programme size is expected to be about USD5.5bn, including USD440m under the IMF EFF, up to USD3bn in multilateral and bilateral support, and an extension of the CNY15bn (USD2.2bn) PBOC swap facility. Disbursements under the programme are dependent on the completion of prior actions and board level approval, which is likely to occur in late March. Fitch believes that there is a high likelihood of IMF board level approval, which would provide Mongolia additional flexibility to meet other forthcoming debt maturities over the rating horizon. BEIJING, February 21 (Nikkei Asian Review) -- The foreign ministers of China and Mongolia confirmed at a meeting here Monday that the two countries will extend a currency swap agreement that had been set to expire in August. Following the meeting with Mongolian Foreign Affairs Minister Tsendiyn Munkh-Orgil, Chinese Foreign Minister Wang Yi told reporters China seeks to extend the agreement "so Mongolia can overcome its difficulties." The extension applies to a 2014 swap line agreement worth 15 billion yuan ($2.18 billion). Because Mongolia can use the yuan in settlements with China -- its largest trading partner -- it can conserve foreign currency reserves. The International Monetary Fund announced Sunday $5.5 billion in international support for Mongolia, which is facing an economic crisis. The package included a reference to China's willingness to extend the currency swap agreement. Ulaanbaatar, February 20 (MONTSAME) Soft loan to be given to Mongolia from the International Monetary Fund will have less than 2 per cent interest and the interest will be calculated with a floating interest rate. The Government of Mongolia and Bank of Mongolia have reached a staff-level agreement with the International Monetary Fund on three-year Extended Fund Facility (EFF) program for USD 440 million and the parties called a press conference on February 19. IMF staff-team leader Koshy Mathai provided the above mentioned fact when answering journalists' questions. Loan term will be 10 years as loan repayment term of the Extended Fund Facility program is much longer than 'Standby' program. USD440 million will be allotted over three years as well as repayment will be made in scheduled time, not at once. "The authorities intend directly to boost economic activity and prospects by attracting new investment to major mines, and by implementing an array of structural reforms to promote economic diversification and improve competitiveness, especially in the agriculture and tourism fields. The broad range of reforms envisaged under the program have been developed in close collaboration with the World Bank and ADB. The authorities' adjustment and structural reform program, supported by the large package of external financing, is expected to stabilize the economy and lay the basis for sustainable, inclusive and long-term growth" he stated. Ulaanbaatar, February 20 (MONTSAME) Implementation of the Apartment mortgage program will be shifted to the Government from Bank of Mongolia starting 2018. Within the Extended Fund Facility program, the International Monetary Fund recommended to transfer the program implementation to the Government as the program is related to budget issues. "Bank of Mongolia will focus on monetary policy. The central bank has used to implement many budgetary projects. The bank has made additional financing of MNT8 trillion, which has not been reflected in the budget at all and it was resolved by the Bank of Mongolia. The central bank will not implement such budgetary projects and programs anymore" said Governor of Bank of Mongolia N.Bayartsaikhan. The World Bank supports to improve the Apartment mortgage program to ensure successful implementation, he added. A staff team of the International Monetary Fund led by Koshy Mathai visited Ulaanbaatar during February 1-19 and the sides reached staff-level agreement on the Extended Fund Facility program. "Strengthening the banking system is a crucial part of the program, to ensure that the banks can support sustainable and inclusive economic growth. The authorities' first priority is to undertake a comprehensive diagnosis of the banking system to assess institutions' financial soundness and resilience. With the results of this diagnostic in hand, the BOM will engage banks to ensure appropriate restructuring and recapitalization, as necessary. The BOM will complement these actions by strengthening the regulatory and supervisory framework, and government is committed to improving the deposit insurance system. The authorities are also committed to strengthening the regime for Anti-Money Laundering and Combating the Financing of Terrorism" said head of staff IMF staff team Koshy Mathai. February 20 (gogo.mn) International Monetary Fund (IMF) has agreed to loan US$ 440 million to the Government of Mongolia, as part of a $5.5 billion external financing package to support the authorities' "Economic Stabilization Program," which intends to restore economic stability and debt sustainability as well as to create the conditions for strong, sustainable, and inclusive growth, while protecting the most vulnerable citizens. Other international partners also plan to support the government's program: the Asian Development Bank (ADB), World Bank, and bilateral partners including Japan and Korea are together expected to provide up to $3 billion in budget and project support; and the People's Bank of China is expected to extend its RMB 15 billion swap line with the Bank of Mongolia for at least another three years. IMF estimated that the external debt to GDP ratio will be doubled than the international average. 79.4 percent of GDP by 2021. Currently, external debt of the country is totaled US$ 23 billion. February 20 (gogo.mn) Excise taxes on vehicle, alcoholic products and tobacco as well as social insurance premium and personal income tax will be increased starting 1st of April, 2017 in accordance with the Staff-Level Agreement between Mongolia and International Monetary Fund on Three-Year Extended Fund Facility. Vehicle excise duty will be increased by 3-15 percent depending on the engine capacity and aging. Excise taxes rates on alcoholic products and tobacco will be added by 10 percent by 2018, 5 percent by 2019 and 5 percent by 2020. Customs tax on imported tobacco is now at 5 percent. Minister of Finance noted that the custom tax on tobacco is lower than limits set by the World Trade Organization and it shall be increased up to 30 percent. Interest income on personal savings accounts will be taxed from 1st of April, 2017. However it is unclear that whether the taxes will be imposed on all taxpayers or owners of savings more than MNT 100 million. In addition, social insurance premium rate will be risen by 2 percent by 2018, 1 percent by 2019 and 2 percent by 2020. Currently employee pay 10 percent and employer pay an average of 11 percent monthly for social insurance premium. Thus the rate will be increased to 12 percent next year. Moreover IMF demanded to increase personal income tax rate by 10, 15, 20 percent depending on the amount of salary. Currently individuals pay 10 percent of PIT in Mongolia. However its effective date is unclear. During the negotiations with the IMF, authorities discussed whether to increase value added tax (VAT) rate. However it has decided not to add the VAT. 1. Excise tax on fuel has been lowered. The tax will be raised back in two stages in July and October, 2017. 2. Individual Income tax will have tax brackets and rate will be 10, 15 and 20 per cent depending on income. 3. Social insurance contributions of 10 per cent paid by employer and 10 per cent by insured person will be raised by 1 per cent respectively starting 2018. 4. Excise tax on passenger car will be up by 3-15 per cent, depending on its date of manufacturing. Moreover, tax on car with cylindrical capacitor of more than 4500 cubic centimeters will be raised by 40-250 per cent. 5. Excise tax on cigarettes, tobacco, vodka and alcoholic beverages and similar items will be gone up by 10 per cent in 2018, by 5 per cent in 2019 and 2020 each. 6. Tax will be levied on savings interest starting April 1, 2017, bringing the planned date of January 1, 2018 closer. 7. Five per cent customs duties on imported cigarettes, tobacco and similar items will be raised to 30 per cent. Management of tax income is also required to be improved. Further to reduce budget expenditure, some strict measures as following will be taken. 1. Procurement of medicine and medical materials will be made through unified bid and spending for purchase will be lowered by 10 per cent. 2. Retirement age will be raised in stages and retirement age of 65 will be observed by men from 2026, and by women from 2036. 3. Salary will not be increased in 2017 and 2018. 4. Child allowance will be distributed only to targeted group and the number of recipients will be decreased to 40 percent, while currently, about 60 percent of all children under 18 years old, is provided with the monthly allowance. The saved money from the reduction will be distributed in form of food vouchers. 6. Law on ensuring legal status of Military personnel will be invalidated as MNT50 billion is needed for providing military persons with apartment or renting apartment. The parliament should discuss budget adjustment and other relevant laws. Mongolian side agreed that budget expenditure should not be increased when parliament discuss budget. In case of expenditure is to be raised for one subject, expenditure for another subject should be lowered to balance it. The authorities will adopt a set of important fiscal reforms to ensure that budget discipline is maintained, building on the existing framework for fiscal responsibility. These include the creation of a Fiscal Council to provide independent budget forecasts and costing of new policy proposals, and provisions to give the government sole authority to determine the total amount of spending in the budget, as well as to require the Ministry of Finance approval of any proposals to cabinet with a budgetary cost. External audit will be conducted on active concession agreements and compensations will be paid next year. MELBOURNE, Feb 20 (Reuters) London copper climbed above the key level of $6,000 per tonne on Monday, buoyed by supply worries after the world's second-biggest copper mine in Indonesia said it could not deliver promised shipments due to export permit issues. Freeport-McMoRan Inc's Indonesian unit said on Monday it hoped to resolve a dispute with the government over its mining contract, but warned it could start arbitration against the government and seek damages. It said late last week that it could not meet contractual obligations for copper concentrate shipments from the mine following a five-week export stoppage. That came as a strike at the world's top mine, Escondida in Chile, caused a second week of disruption. Escondida also declared force majeure last week. "We expect the copper market to move into deficit in 2017 for the first time in six years, due to a combination of tightening supply and recovering developed world demand countering a more moderate rate of Chinese copper demand growth," Citi said in a report. "We believe market tightness, and associated positive investor flows, will prompt copper prices to sustain a push above $6,000/T (in the second-half of 2017), with peaks of close to $7,000/T expected before year-end." Three-month copper on the London Metal Exchange had risen 0.9 percent to $6013.50 a tonne by 0700 GMT, paring losses from the previous session. Prices hit $6,204 a week ago after Escondida declared force majeure, but industry sources said that smelters and fabricators were still amply supplied with metal. Escondida said on Sunday that company representatives would attend government-sponsored talks with striking workers on Monday as long as the union did not interfere with a shift change for non-unionized employees. Turnover was light with U.S. markets closed for a public holiday. Shanghai Futures Exchange copper was up 0.4 percent at 48,770 yuan ($7,096) a tonne. Adding to supply concerns, Anglo American PLC said it would temporarily suspend operations at its El Soldado copper mine in Chile after failing to receive regulatory approval for a redesign that would have helped keep output flowing. Meanwhile, Philippine President Rodrigo Duterte said he would review a minister's order to close more than half the country's mines for environmental violations, following an outcry from affected producers. Elsewhere, President Donald Trump's pledge to bring massive investments in U.S. infrastructure projects showed new signs of life on Friday, as leading Republican lawmakers said proposals from the administration could be in the offing. February 21 (MINING.com) On Monday, the market for coking coal enjoyed its best day in months with the steelmaking raw material jumping 2.4% to $153.60, the lowest since early September. Met coal has been sold down relentlessly following multi-year high of $308.80 per tonne (Australia free-on-board premium hard coking coal tracked by the Steel Index) hit in November, but news that China will stop importing all coal from North Korea may be what finally supplies a floor. On Saturday the totalitarian dictatorship's largest trading partner, China, reacted to the Feb. 12 test of a long-range ballistic missile by announcing a ban on coal from the rogue nation till the end of 2017. The decision by the China's Ministry of Commerce, issued jointly with the country's customs agency, was made to comply with a UN Security Council resolution that China helped draft and pass in November. Along with restricting the export of coal, the resolution also targets non-ferrous metals, statues and other luxury items like tapestries. China's import ban on North Korean coal was supposed to be lifted in January but the missile test has meant that Beijing's coal ban will continue. China forges more steel than the rest of the world combined and the country last year imported a total 59.2 million tonnes of coking coal, an increase of nearly 24% over 2015. Last year China imported 22.4 million tonnes of coal (mainly coking coal, despite being officially classified as anthracite by Beijing) from North Korea, a nearly 15% rise from 2015. That means North Korea isn't far behind Australia, number one supplier to China, which exported 26.8 million tonnes last year, a 4.8% increase year on year. 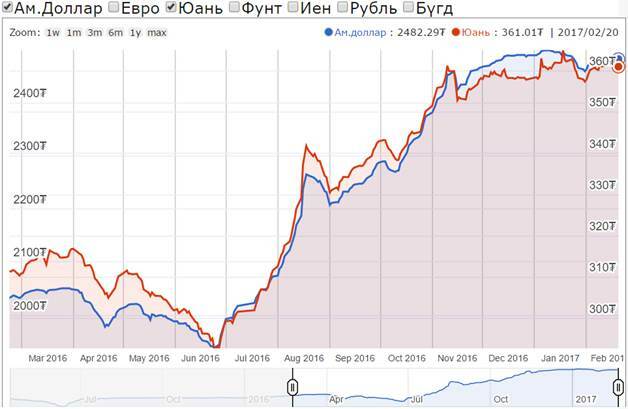 Mongolia accounted for 23.6 million tonnes of total imports; a 85% jump which is creating a logistical nightmare for the landlocked country. As a captive supplier (and due to a deal struck by Ulaanbaatar to use coal exports to pay down debts owed to Aluminum Corporation of China, or Chalco) land-locked Mongolia sells its coal for much less than the seaborne price. In December, China paid $63 a tonne for Mongolian coking coal when the seaborne price was averaging above $230 a tonne. Imports from Canada and Russia declined by 9.3% and 19.4% respectively while the US exported no coking coal to China. February 21 (The Australian) The price of iron ore has reached a fresh 2.5-year high on strong Chinese demand and speculative trading. According to The Steel Index, the commodity's value bounded 2.7 per cent to $US92.70 a tonne, up from $US90.30 the session prior. It is the highest level reached since August 2014. The key Australian export is now up around 15 per cent this year alone and has more than doubled from a 10-year low of around $US38 in February last year. Several analysts have recently belatedly upgraded their 2017 forecasts for the commodity, with a swelling consensus that there is little catalyst for a sharp fall in the near-term. "Even with record high (Chinese port) stocks, most other signals remain supportive in the short term and seasonally strong demand in the second quarter beckons," UBS analyst Lachlan Shaw said. Few expect prices to remain above $US70 next year, however, as output increases from the giants of the sector kick in. The pricing development is a positive for several big local names, including BHP Billiton, Rio Tinto and Fortescue, with the latter tipped by Macquarie to surprise with a healthy payout to investors at its earnings release tomorrow. "Fortescue Metals has been stepping up its dividend payout ratio in recent periods and we believe the interim dividend could be a positive surprise given gearing is now down to 30 per cent," the investment bank said. "After paying solid dividends in fiscal 2013, Fortescue materially reduced its cash return to shareholders in the subsequent 18 months but begun to step up the dividend in the second half of fiscal 2016." All eyes will turn to BHP first, however, as it reports half-year earnings after the market close today. February 21 (The Sydney Morning Herald) The last three US interest-rate increases that should, all other things being equal, be bad for the metal have seen prices jump in the months that followed. Gold is up about 7 per cent since the US Federal Reserve raised rates on December 14. It jumped 13 per cent in the two months following the last increase in December 2015 and 6 per cent the previous time way back in June 2006. Partly, it's rational expectations, and other things getting in the way. This time one of those things is Donald Trump's presidency. Uncertainties surrounding his administration have dominated markets since the November 8 election. Precious metals initially plunged as investors noted Trump's vow to supercharge the economy with infrastructure spending. That would raise returns on assets such as shares and curb interest in havens like gold. Yet, with Trump's time in office so far focused on other matters, the trend was quickly halted and reversed. The Fed's rate increase in December once again became a low-water mark for gold, and expectations for further increases by the bank have failed to halt further price gains. "The market worries more ahead of the event than after," Ole Hansen, head of commodity strategy at Saxo Bank, said by email. "Once the hike was out of the way, a more balanced picture emerged and that together with a reality check of the potential Trump impact did the rest." NEW YORK, November 20 (Reuters) Oil prices inched higher on Monday, as investor optimism over the effectiveness of producer cuts encouraged record bets on a sustained rally, although growing U.S. output and stubbornly high stockpiles kept price gains in check. Top OPEC exporter Saudi Arabia's crude oil shipments fell in December to 8.014 million barrels per day (bpd) from 8.258 million bpd in November, official data showed on Monday. Brent futures LCOc1 ended the session up 0.7 percent at $56.18 a barrel. U.S. futures West Texas Intermediate crude CLc1 gained about 29 cents or 0.5 percent to $53.69 prior to the close of trade at 1 p.m. EST, an hour and a half early due to the Presidents Day holiday. Trading volume in Brent averaged about 181,000 lots of 1,000 barrels each, below the average of about 205,000. Volumes in U.S. crude also dipped, with just over a couple of thousand lots traded, a day ahead of the expiration of WTI futures for delivery in March. On average, more than 300,000 U.S. crude lots trade in a typical trading session. Prices received a lift from a weaker dollar .DXY as well. A strong greenback typically makes oil more expensive for holders of other currencies. The Organization of the Petroleum Exporting Countries and other producers, including Russia, agreed last year to cut output by almost 1.8 million bpd during the first half of 2017. Estimates indicate compliance with the cuts is around 90 percent. Reuters reported last week that OPEC could extend the pact or apply deeper cuts from July if global crude inventories fail to drop enough. However, the December Saudi figures may not reflect the full picture, analysts said. "Ahead of the agreed production cuts, Saudi Arabia had chosen not to reduce its output as it normally would have in the winter half year, so as to be able at a later date to make this appear part of the agreed reduction in production," Commerzbank said in a note. "Presumably the decrease in production and exports in December should be seen against this backdrop, and could already have been undertaken to pre-empt the production cuts due to take force from January." Signs of rising output in the United States have tempered money managers' appetite to push prices higher. Since the start of the month oil prices have gained around $2. "There is still a general consensus that the OPEC/non-OPEC agreement helps supply to get in line with demand. This bullish stance is countered by the ever-increasing inventories in the U.S. and rising rig counts," PVM Oil Associates strategist Tamas Varga said in a note. "Assuming the U.S. oil rig count stays at the current level, we estimate U.S. oil production would increase by 405,000 (barrels per day) between fourth-quarter 2017 and fourth-quarter 2016 across the Permian, Eagle Ford, Bakken and Niobrara shale plays," Goldman Sachs said in a research note. "Annual average U.S. production would increase by 130,000 bpd year over year on average in 2017." Ulaanbaatar, February 20 (MONTSAME) Confederation of Mongolian Trade Unions called a press conference to make a statement that the Government breaches Collective bargaining agreement on labor and social welfare when reaching the staff-level agreement with the International Monetary Fund to implement Extended Fund Facility program. '- Increase of tax rates or creating new tax and social issues related to salary and pension should be discussed with other parties of the Collective bargaining agreement. The parties also agreed that any financial programs relating to overcoming economic difficulties would be implemented ensuring not to worsen livelihood and keeping employment rate and increasing jobs. All these articles of the Collective bargaining agreement would be breached in the agreement on the Extended Fund Facility program. Therefore, we will start "Collective dispute" said the President of the Confederation Kh.Amgalanbaatar. "If collective dispute is not solved, final measures will be strike and trade unions. Hope that it won't go further to that step". February 20 (Mongolian Economy) Ulaanbaatar, Mongolia, February 20, 2017- IFC, a member of the World Bank Group, the Mongolian Ministry of Justice and Home Affairs, and other stakeholders today launched a web-based pledge-notice registry. The registry, part of a joint initiative to reform Mongolian secured transactions, will improve access to finance for small and medium enterprises (SMEs) by facilitating lending against movable assets as collateral. Other stakeholders involved in the project are Bank of Mongolia and Mongolian Bankers' Association, and Implementing agency of the government of Mongolia, General authority for intellectual property and state registration. The registry is a major milestone in IFC's efforts to encourage financing against movable assets in the country. Access to finance is a challenge faced by many Mongolian SMEs, which struggle to obtain bank loans as they do not own land or buildings that banks generally seek as collateral. The IFC-supported Law on Tangible and Intangible Movable Property Pledge, which governs the registry's functioning, will go into effect on March 1, 2017. The new law along with the registry, will allow SMEs to offer moveable assets such as accounts receivable, inventory, equipment, and warehouse receipts as collateral to banks. The new system will reduce the need for paper documents and will notify creation of pledge-rights to existing and prospective lenders. To date, over 1,000 people have attended knowledge-sharing events and trainings on movables lending organized by IFC. "Supporting SMEs and entrepreneurs is one of the government's top priorities," said Mr. Enkhbayar B, Deputy Minister of Justice and Home Affairs. "With IFC's help, we will build a modern secured-transactions system, which is critical financial infrastructure to help small businesses expand and create jobs. Anyone with internet access can use the collateral registry from anywhere to register a pledge-notice or make a search. With this, citizens and legal entities can access state services without any bureaucracy and difficulties. A key objective in 2017 of the Ministry of Justice and Home Affairs is to bring government services closer to Mongolian citizens. This web-based pledge-notice registry system is in line with this objective." "We are pleased to see this system go live today," said Tuyen D. Nguyen, IFC Resident Representative in Mongolia. "IFC will continue efforts to strengthen Mongolia's financial infrastructure to facilitate lending secured by movable assets and access to finance by SMEs." Previously, IFC has helped develop modern secured-financing systems in more than 20 emerging markets, including China, Ghana, and Vietnam. In China, more than $3 trillion in loans backed by movable assets as security have been granted since 2007; many beneficiaries are small businesses. February 16 (UNDP) The United Nations Assistant Secretary-General, United Nations Development Programme Assistant Administrator and Regional Director for Asia and the Pacific, Mr. Haoliang Xu, will visit Mongolia on February 21-25, 2017, his second official visit to the country. The objective of his visit is to discuss on-going and new areas of cooperation between UNDP and the Government of Mongolia in the context of the new cooperation framework 2017-2021 and the Sustainable Development Goals (SDGs) – to end poverty, reduce inequality and protect the planet by 2030. During his visit, Mr. Xu will meet with members of the Mongolian government, including Mongolian Prime Minister, Mr. Jargantulgyn Erdenebat, Foreign Minister and Mr. Tsend Munkh-Orgil, among others. He will also give a lecture at the University of Humanities Mongolia on Feb 22nd, on the role of young people in meeting the SDGs. He will then pay a 2-day visit to Khentii Aimag, where he will meet with Khentii Aimag Governor Mr. Navaansamdan Ganbyamba and the Chair of the local Citizens' Representative Khural, which UNDP is working with to strengthen local governance and outreach to constituencies. He will also see UNDP projects that aim to improve the resilience of rural communities to climate change. These include initiatives that promote management models for locally protected areas in addition to ecosystem based-adaptation measures for the protection of water sources, forests and pasture grounds, along with disaster risk management as well as the UN's emergency response to Mongolia's dzud winter. He will also meet with several herder families affected by the ongoing dzud in the region. The visit provides an opportunity to discuss key challenges now facing Mongolia, including how to ensure further advances in human development amidst the recent economic slowdown, and how future growth can benefit all people in Mongolia, while protecting the environment for future generations. Summary: Representatives from the IMF, the Ministry of Finance, and the Bank of Mongolia held a press conference to announce the results of the negotiation. It was announced that a staff-level agreement on a 3-year extended fund facility (EFF) program for 440 million USD was reached, and that with the implementation of this program, additional financing from multilateral and bilateral institutions could add up to 5.5 billion USD. Minister of Finance B. Choijilsuren highlighted that the EFF aims to stabilize the economy and bring economic growth to 8.1% and inflation to 6.1%-7%. The Ministry of Finance announced that gradual increases for 7 existing taxes and state fees would be introduced to address fiscal challenges. The Governor of the Bank of Mongolia, N. Bayartsaikhan, noted that the repayment of Development Bank's bond debt is set to be delayed by offering note holders the chance to exchange the note for new a sovereign bond directly issued by the government with a later payment. The EFF deal will undergo a review by the IMF board, and the government will begin working on 2017 budget amendments and pursuing immediate specific policy actions. Summary: Minister of Foreign Affairs Ts. Munkh-Orgil will visit the People's Republic of China, at the invitation of Chinese Minister of Foreign Affairs Wang Yi, from February 20-21. During his visit, Ts. Munkh-Orgil is set to meet with representatives of China's Ministry of Foreign Affairs as well as Minister Wang. The two sides will discuss strengthening their strategic partnership, developing cooperation, and ways to turn agreements into reality. Minister Ts. Munkh-Orgil's visit to China follows a visit to Russia from February 13-14 at the invitation of Russian Minister of Foreign Affairs Sergei Lavrov. Summary: Ulaanbaatar Railway, a Mongolian and Russian joint venture, discussed plans for upgrades and development through 2030. According to preliminary calculations, capital of 1.5-4.4 billion USD is needed to implement a 3-staged plan for improvements, and the company will only be able to finance half of the amount required for the changes outlined. Ulaanbaatar Railway transports around 20 million tons of goods annually and plans to transport 53.6 million tons by 2030, with even longer term plans for transporting 100 million tons of goods. By 2030, the number of trains passing through the provinces are expected to increase exponentially, the speed of the train will be 1.4 times faster, and the target number of passengers traveling on the train each year will be 3.5 million. Construction of a dual rail line, establishing a line along the south side of Bogd Khan Mountain, and maintenance for 670 km of existing rail lines are also included in the plans for the company's future development. Summary: The National Statistics Office (NSO) reported that 168.4 million USD in raw coal was exported in January, almost five times the amount of raw coal exported in the same period last year. In terms of volume, 2.59 million tons of raw coal was exported, 2.2 times more than what was exported in January 2016. Since April of last year, prices for coal have increased, leading to an increase in the amount of exports. Analysts have claimed that there will be no significant change to prices this year. Last month, 137 million USD in copper concentrate was exported, a decrease of almost 22% compared to last year. In terms of volume, 133,700 tons of copper concentrate was exported, a decrease of only 5,000 tons compared to January 2016. The NSO reported that 18.1 million USD in gold was exported and that all of it went to Great Britain. Ulaanbaatar, February 20 (MONTSAME) The Ulaanbaatar City Administration, in cooperation with the UB Chamber of Commerce (UBCC), organized today, February 20, the Ulaanbaatar Investment 2017 business meeting, attracting about 800 representatives of public and private sectors at the Shangri-La Hotel of Ulaanbaatar. The UBCC has been co-organizing this annual event with the municipality for the last three years, since its inception. The opening remarks were given by the Mayor of Ulaanbaatar S.Batbold, the Chairman of UB Citizens' Representatives Khural Ts.Sandui and the UBCC President J.Oyungerel. Key presentations covered the plan of development and investment works to be realized in Ulaanbaatar and open biddings for 2017, and other presentations were themed 'Improving private sector's involvement in the Ulaanbaatar development projects', 'New concepts of Ger area development', 'Innovation and creations of industrial parks based on modern technologies', 'Developments in Bayankhoshuu and Selbe sub-centers', 'Transparency in municipal procurements', 'Assessment of municipal road projects' and 'Principal's assessment of projects'. J.Oyungerel, UBCC President, noted the meeting's main purpose is to ensure that everyone gets equal opportunities to take part in the development works in Ulaanbaatar. The representatives of national companies were quite satisfied with the outcomes of this annual meeting, as the meeting provides necessary information about city-run projects as well as the opportunity to meet with the project initiators and investors in person. The Ulaanbaatar Investment 2017 was much appreciated by its international attendees, who were also expressing their satisfaction and relief with the completion of agreement between the Government of Mongolia and the International Monetary Fund on three-year Extended Fund Facility (EFF) program. Ulaanbaatar, February 20 (MONTSAME) On February 14, firefighters led by First Lieutenant E.Enkhbayar of the 26th firefighting division and rescue team of the Emergency Management Department saved 21 people, including children from fire. On this day, the firefighters responded to a report of fire and arrived at the apartment building located in the Songinokhairkhan district of Ulaanbaatar city. They urgently rescued 21 people trapped in the apartment, who were in danger of suffocating and smoke inhalation that broke out in the basement room. February 20 (China Daily) Foreign Minister Wang Yi said Beijing will help Mongolia overcome its economic difficulties, and he announced a slew of measures to aid the debt-ridden neighbor. The measures include gearing up the implementation of non-reimbursable assistance to Mongolia and considering extending the bilateral currency swap deal, Wang told a media conference in Beijing on Monday after meeting with his Mongolian counterpart Tsend Munkh-Orgil. On Sunday, Mongolia agreed to implement an economic rescue package proposed by the International Monetary Fund and refinance bond loans, easing concerns that it might default in March, Xinhua reported. China supports aid given by international financial institutions to Mongolia, and it will also consider Mongolia's wishes to expand its exports of minerals, agriculture and husbandry products to China, Wang said. The pledges were offered as the relationship emerges from a tense period. In November, Mongolia angered China by allowing the visit of the secessionist 14th Dalai Lama, who has worked on separating Tibet from China. In January, the two senior diplomats had a phone call, and Wang said Mongolia reflected deeply upon the Dalai's trip and promised no such further occurrences. Wang said on Monday the relationship "has already got things packed and is ready for another start". BEIJING, Feb. 20 (Xinhua) -- Mongolia reaffirmed its commitment to the one-China policy on Monday during the visit by the country's foreign minister, after bilateral relations were disrupted by the Dalai Lama's visit to the landlocked country in November. A long-standing, stable, mutually beneficial and equal relationship with China is Mongolia's primary foreign policy goal, Mongolian Foreign Minister Tsend Munkh-Orgil said in Beijing. Speaking at a joint press conference with Chinese Foreign Minister Wang Yi after their two-hour-long talks, Munkh-Orgil said Tibet is an inseparable part of China and Tibet-related issues are China's internal affairs. Mongolia made efforts to repair ties with China and promised it would never allow future visits by the Dalai Lama, a political exile with ambitions to split Tibet from China under the guise of religion. Hailing the Mongolian foreign minister's statement, Wang said it was important for the two countries to boost ties from a new beginning. The two countries should outline high-level communication, synergize China's Belt and Road Initiative with Mongolia's Prairie Road program and promote cooperation in various fields, Wang said. Munkh-Orgil said the Belt and Road Initiative would bring great opportunities for Mongolia's development, adding that Mongolian Prime Minister Jargaltulga Erdenebat will visit China and attend the Belt and Road forum for international cooperation in May. He also thanked China for its support during Mongolia's financial difficulties. Vice President Li Yuanchao also met with Munkh-Orgil on Monday, during which both sides agreed to protect the political foundation for bilateral relations. Mongolia's population is around that of the city of Kanpur, but its land mass equals half of India's in area. February 21 (The Asian Age) It is hard to see how bilateral relations with Mongolia can be strengthened with the budgetary support for aid for Mongolia for 2017-18 earmarked at a mere Rs 5 crores. This is an amount just about sufficient to buy two or three high-end cars. New Delhi thus risks making a mockery of itself in the eyes of Mongolia, sandwiched between its giant neighbours China and Russia, that has gone out of its way to accord India the privileged "third neighbour" status at the cost of incurring Beijing's displeasure. While Mongolia isn't in the day-to-day consciousness of most Indians, the country's significant geostrategic dimension can hardly be overlooked. It was to bolster this that Prime Minister Narendra Modi visited Ulan Bator in May 2015, becoming the first Indian PM to do so. There is much respect for India in Mongolia as New Delhi was the first country outside the socialist bloc to recognise Mongolia and had supported its entry into the UN. Mongolia's population is around that of the city of Kanpur, but its land mass equals half of India's in area. Besides, the country is super-rich in minerals, including strategic minerals. This is the reason American companies have shown a not inconsiderable interest in Ulan Bator. While we have a line of credit of $1 billion, that amounts to a pledge to spend if Ulan Bator indicates projects. That money is returnable, of course. Indian aid, specially on soft terms, would have had a different ring. The situation needs to be urgently remedied. Ulaanbaatar, February 20 (MONTSAME) Ch.Sosormaa, Ambassador Extraordinary and Plenipotentiary of Mongolia, accredited to the Republic of Columbia, presented her Letters of Credence to Juan Manuel Santos, the President of the Republic of Colombia on February 16. During the ceremony, Ambassador Ch. Sosormaa conveyed the warm greetings of Ts.Elbegdorj, President of Mongolia and congratulated President Santos on his accomplishment in bringing peace to Colombia as well as receiving the Nobel Peace Prize. While conveying his warm greetings to President Ts.Elbegdorj, President Santos highlighted the opportunities for promoting cooperation between the two nations, despite the geographical distances. The President expressed to render all possible support towards strengthening the friendly relations between Mongolia and Colombia; and wished the Ambassador every success. February 20 (UNESCO) UNESCO and the Government of Mongolia signed a comprehensive cooperation agreement aligned with the 2030 Agenda for Sustainable Development, during a ceremony with Director-General Irina Bokova and the Ambassador of Mongolia to UNESCO, Mr Mundagbaatar Batsaikhan, on 20 February 2017. Recalling her visit to Mongolia in 2011, when she signed the previous agreement, the Director-General welcomed the focus on the SDG Agenda and referred to the country's rich cultural diversity and its leadership role in the Community of Democracies. The Ambassador expressed his country's longstanding and strong relations with UNESCO, welcoming the new agreement that will further reinforce cooperation. February 20 (MONTSAME) Scientists of the Institute of Physics and Technology of the Mongolian Academy of Sciences have developed a neonatal incubator and blood pressure monitor or sphygmomanometer and are ready to put them into production for the use of clinics. The infant incubator and blood pressure device were created by a team of Mongolian scientists headed by Dr. O.Bukhtsooj, Chief of Laboratory of Physics and Electronics of the abovementioned institute and including scientists B.Zandan, B.Naranbat, S.Ugtakhbayar and N.Narantsatseg. Team leader O.Bukhtsooj said "Both pieces of equipment have already gone under laboratory tests. Now, we are about to introduce them to clinics and hospitals and put them into large-scale production. We have developed a number of medical equipment devices besides the baby incubator such as the development and experiments in blood pressure monitors, a electric meter and electrical meter we created has already been completed and available for manufacturing. Our team is planning to submit the complex medical devices we developed to the Ministry of Health as a project proposal". In terms of development of the incubator, the team used the main body of old incubators that are no longer in use in hospitals and most importantly, we made the electronic components and pieces ourselves. In short, they have created dry and water heaters and air humidity regulators for themselves. The incubator is equivalent to imported incubators in terms of its functions. One of the advantages of the incubator is that a system is installed in it to give a warning signal automatically when the health of infant inside the devise gets worse. If the infant's state deteriorates, the system will relay the signal to the medical staff and nurses. "An incubator is bought from foreign countries for approximately Tgs 13 million; however, we have provided the opportunity to get this Mongolian-made device for a price much cheaper than those from abroad. The blood pressure monitoring device determines maximum and minimum blood pressure using the heart rate. The advantage of the device lies in its feature to be freely connected to a PC, cellphone or laptop. The person using the device will be able to save the record of their own heart rate and top and bottom levels of blood pressure. They can even print them for use at their next doctor's appointment. Another creation of the team is an electric meter, which is manufactured to calculate daytime and nighttime tariffs separately. It is the most effective equipment as the nighttime tariff has recently been zero-rated as a step to reduce air pollution in Ulaanbaatar. The electricity meter is turned on and off with a remote control. O.Bukhtsooj said to itoim.mn website that "As Mongolia brings all of its electricity meters from abroad, we have made this device as an import substitution". The team is planning to put the device into the manufacturing process after the electricity meter is approved by the Mongolian Agency for Standardization and Metrology. "Mongolian science industry competently resolved the issue of electronics, the critical part of the development process. The next important stage is the manufacturing. The main reason the Mongolian science industry lags behind is there is not adequate production environment and industrial infrastructure. Even though the new products are developed yet to be introduced on the market, other issues, for instance the manufacturing of its packages, are still needed to be solved. Therefore, the government needs to pay attention to this issue by developing policy on promoting its domestic production. Dr. O.Bukhtsooj has been working as a chief of the Laboratory of Physics and Electronics of the Institute since 2001, when he came back to Mongolia after studying at the Moscow Power Engineering Institute for an engineer of physics and electronics for 9 years. The article is featured in the Mongol Messenger's issue No.5 for February 3. Need a little adventure in your life? Interested in traveling to Mongolia? Interested in trying your hand at archaeological fieldwork? The Northern Mongolia Archaeology Project (https://nmapmongolia.wordpress.com/), in collaboration with Bioregions International (http://bioregions.org/) and the National Museum of Mongolia is now assembling an international, interdisciplinary team to conduct archaeological fieldwork in northern Mongolia from July 1st – 22nd. The archaeological site of Soyo, in the Darkhad Depression of northern Mongolia, has the potential to contribute significantly to understanding questions about the interaction of hunting and herding adaptations in this region. Located at the intersection of the dense forest taiga and the grass steppe-land of the basin, Soyo is uniquely positioned to facilitate interaction between hunting and herding practices. Previous research on prehistoric domestic sites in Mongolia has been frustrated by the prevalence of thin, jumbled deposits of artifacts with few preserved features. However, preliminary research at the Soyo site has revealed a unique depositional history where wind-blown sand has stratified thick artifact deposits creating a one of a kind, 7,000 year continuous record of human activity. No other similar domestic sites that have such a long, well preserved occupational sequence are known from Mongolia. Despite being such an important part of Mongolian heritage, this site is threatened by the development of a tourist camp. It is critical that an archaeological team conduct this research at the site in the summer of 2017 as the site is actively being threatened by this development. Activities in 2017 include surface survey, geophysics survey, test excavation, drone photography and mapping, and ethnoarchaeology. The field crew will have the opportunity to participate and learn all aspects of the archaeological fieldwork. Camping - participants responsible for tent, sleeping bag and sleeping pad. Three meals a day provided by project. Hired cook prepares all meals. Number of credits offered None. Will work with your home institution for independent study credits if desired. Ulaanbaatar, February 20 (MONTSAME) The "Dunjingarav" horse race has been organized by the government in early Spring since 2008. However, on February 8, 2016 the Labor Minister's order banned all types of horse racing using child jockeys between 1st November and 1st May each year. The order also banned the involvement of children in any tasks related to training or breeding horses outside that period. In spite of this order, the "Dunjingarav" horse race went ahead last Spring on March 2 by a governmental decree. And there are now reports that the competition has been approved for early March again this year, two months before the Winter/Spring ban is lifted. National and international child rights organizations have collectively expressed their strong opposition to illegal horse race in early Spring, involving children as child jockeys. They include the National Network to Eliminate the Worst Forms of Child Labor, National Network for Child Protection, Institute of Training and Research for Child Rights, National Civil Society Coalition, ECPAT Mongolia Network as well as Save the Children, World Vision and NLM. They are concerned that racing in early Spring means that child jockeys are training in extreme winter temperatures, greatly increasing their risk of accidents and injuries, and exposures to dangers, jeopardizing the children's well-being and raising education-related issues. They stress that child jockeys are at greatest risk of being hurt when horses race in the wild, in the extremely cold and at their highest speed as in the planned "Dunjingarav" race. In the last five years, over 1500 child jockeys were injured during training and racing, leaving many children disabled for the rest of their lives. More than ten children died. Horse racing is part of the cultural heritage of Mongolians, but horse racing in winter and spring has never been part of traditional Mongolian culture. A review of 381 files on Naadam events (between 1803 and 1920) held by the National Central Archive found evidence that Danshig Naadam (the State Naadam) was celebrated only between the months of May and August each year. "The use of minors as jockeys in Winter and Spring must be seen as hazardous child labor and possible exploitation. It has negative effects on children's education. It puts their lives and health in danger and it is a serious breach of their rights as children" said a spokesperson for the collective. "Therefore, we appeal to the Government of Mongolia and to city and provincial Governors to continue to ban Spring horse racing involving child jockeys and enforce "the list of jobs prohibited for underage children" that was renewed by Resolution A/36 by the Minister of Labor on 8th February 2016. "We also appeal to journalists and media institutions to be the voice of these children and speak out for their safety and well-being." February 20 (news.mn) 'Children of Genghis', a movie about horse racing, one of the Mongolian three traditional cultural games, is to be released by "Warner bros" on 23rd of February. The movie is produced by D.Angarag, Mongolian 'Hollywood' producer and directed by D.Zolbayar from 'Mongol film' company. The movie was filmed in Arkhangai province in the summer and involves three small boys and the drama and rivalries of a horse race. Brittany Belt, American actress, known for Mother's Day (2016) played a supporting role in the movie. Ulaanbaatar, February 20 (MONTSAME) 19 memory athletes of the Mongolian Intellectual Academy secured 14 gold, 15 silver and 12 bronze medals from the Korea Open Memory Championship held on February 18-19 in Seoul, South Korea and set four new world records during the championship. The world new records were broken by B.Khangal in the "Image" junior age category, B.Ariunsanaa in the "Image" category of teenage age, E.Lkhagvadulam in the "Card" 10-minute category and G.Enkhlen in the "Spoken numbers" category respectively. Moreover, International Sports Master E.Lkhagvadulam, won the gold medal by a total score of 10 categories in the teenage category and B.Ariunsanaa gained a bronze medal in the same category. B.Khangal and O.Tuvshinzaya each received bronze medals in the junior category. The championship with KRW 30 million prize fund was participated by 178 memory athletes from 15 countries, such as South Korea, Mongolia, Germany, the USA, the Philippines and Japan competing for 90 set of medals of 10 categories in different age classifications (junior, teenage and adult). February 20 (gogo.mn) Adventure Temple offers you a cozy evening with a good film "The Eagle Huntress" directed by Otto Bell on Thursday (23rd Feb). The documentary nominated for BAFTA Film award 2017, tells a story of 13-year-old Aisholpan who trains to become the first female in twelve generations of her Kazakh family. Entrance fee is 8,500 MNT includes free beer/wine/coffee of your choice. The film is narrated in English and also has English subtitle. Adventure Temple locates on the opposite of Rokmon building, West four intersection (Baruun durvun zam). For more info, please click HERE or contact at 7710 8002. February 20 (gogo.mn) Ten Thousand Camel Festival, held in the Gobi Desert of Mongolia is already one of the most famous winter festivals in the world. This thrilling festival was first initiated in 1997 by the locals of Umnugovi (South Gobi) to celebrate Mongolian camels and protect the species and pass the rich Mongolian camel breeding heritage to the next generation. It's an entertaining 2-days of event that features various contests related to Mongolian camel culture and lots of local music and dances. Nomads from far and near wear their best deels and ride their best camels to attend the festival as it's their pride and a big celebration for them. The date of the Camel Festival 2017 is 6-7 March and the event will take place in Bulgan soum of Umnugobi aimag. On these days, day temperature will reach -5C to -10C and night temperature will be -13C to -18C according to the multi-year average. 14:00 Opening ceremony of Camel Festival 2017. The festival to open with camel parade. Tourists and visitors are open to take part in the parade. 14:00 Competitions begin for the "Most Beautiful Couple on Camels"
17:00 "Camel Polo 2017" final competition. Camel market opens for camel products including clothes and diary goods. Gala concert by Bulgan soum students. Altai Nomadic Adventure Tours. Tel: 976-9665 0538. Mail: info@budgettoursmongolia.com. Bulgan soum locates 100 km away from aimag center Dalanzadgad and it takes an easy 7-8hr drive from Ulaanbaatar to the south (all paved road). Also there's daily bus service available from Narantuul market and Bayanzurkh tovchoo for MNT 23,000 -25,000. Currently, event organizers are negotiating with airlines are to conduct flights from UB-Dalazadgad. However, it has not finalized yet. Where to stay: Once you get to Bulgan soum there are several Ger accommodation available and contact at 976-89441212. For more info about the festival, please contact the organisers (Amazing Gobi tourism association) at: Phone: 976-9514-4470, 976-99074355 or email at tumen106@yahoo.com, n.ariunsanaa@yahoo.com. February 20 (news.mn) The 'Thousands of Horses of the Steppe', winter festival took place in Altanbulag soum, 50km from Ulaanbaatar on 18-19th of February. The winter horse festival has been organised by the Ministry of Environment and Tourism in cooperation with the Tuv provincial administration since 2015. During the event, horse-breeders from across the country gathered together in one place with over 6000 horses. Among them was a jaw-dropping performance of men snatching a lasso pole (uurga) from the ground on a galloping horse; this left the foriegners in the audience stunned. Excited by these performances, tourists from over 10 countries were charmed by Mongolian tradition and culture of horses. Tuv aimag (province), which is located 52 km from the capital city of Ulaanbaatar, has the largest concentration of horses in the country with over 27 thousand horses and 291,983 livestock (2017 figures). February 20 (The Telegraph) "Big Sky Country" is a fitting nickname for ruggedly beautiful Montana, the fourth largest US state. If the same sobriquet were applied to Mongolia, however, it would simply be inadequate. For this enormous landlocked country of green steppe, vast flat plains, intricately braided rivers, electric-blue highland lakes, snow-licked mountains, dense pine forests and shifting desert is presided over by a skyscape of such bold blue immensity it beggars description. It's not just vast; Mongolia is empty, too. Three times bigger than France, its population is less than a 20th of the UK's – and one in three people live in the nation's sole city, the capital Ulaan Baatar. It is also, even a quarter of a century after freeing itself from the shackles of Moscow, very little visited – something that is beginning to change, following the opening of two new luxury hotels in Ulaan Baatar and the scheduled opening this year of a new international airport. I decided to get in ahead of the crowds by taking a journey by 4x4 through this incredible land, so sparse in terms of people but, with more than three million horses, 28 million sheep, as many goats, nearly four million cattle and 200,000 Bactrian camels, so rich in terms of livestock. Hardly surprisingly, animal husbandry forms the backbone of the economy. I was invited into my first ger (the conical felt tents that still house almost 50 per cent of Mongolia's inhabitants) a couple of days into my trip, heading south on dirt roads from the tiny settlement of Murun, in the north. Sitting on low couches, my guide Duggi, driver Tziggi and myself slurped on the bowls of warm, salted butter tea proffered by our host. I gazed around the ger with interest. Like all the best homes, the focal point was the fireplace, in this case a smoke-blackened iron stove. Above the wood-burner hung a line of ragged strips of beef being air-cured for jerky, while slices of curd dangled from strings above the door. Large aluminium trays contained yogurt and cheese, another yellow cream so thick our host sliced it with a knife before handing us a portion to try (it was delicious!). Meat and dairy produce form the average Mongolian's staple diet; fruit and vegetables are a rarity. With the nearest shop a day and half's journey away, these nomadic families rely on what they can produce themselves. Under flawlessly blue late-August skies, the temperatures a beatific 20C or so, and our host's young daughter doing cartwheels, it was hard not to be enraptured. Especially as the valley below the ger was threaded by a tumbling brook and pine-carpeted peaks swept up all around. But it's a harsh life, and that wood-burner would be needed, as the first snows usually fall in September, and midwinter temperatures drop to -40C.